Reduced labor costs and an increase in return on investment are some of the benefits of incorporating technology into your firm’s operations. Since several risks and eventualities can affect the normal functioning of your network, accessing necessary support services is critical. That will not only promote availability and performance but will also enhance security. Therefore, network support has a significant impact on your network infrastructure and here are some of the values your business will reap from the service. Ability To Identify Service Coverage The strength of the network that your organization is using determines its capability to meet the requirements and fulfill the corporate policies in place. So, identifying the service coverage of your infrastructure is part of the essential services that a network expert will offer. Consequently, this will help you make better decisions when seeking to install the right resources. Also, planning and budgeting become more predictable in this case to promote better management of company resources. 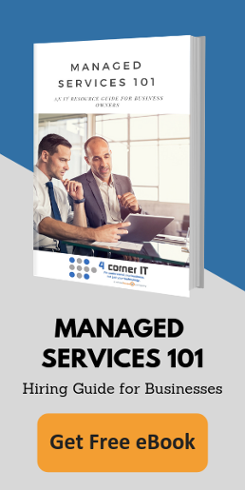 By engaging competent network support service providers, you will also reduce the inconsistencies that set in when adding and deleting service segments. It eliminates network challenges when deploying new equipment as well. Access To Prompt Technical Services Sometimes, the downtime is quite lengthy when your network has problems, and that derails business operations in various ways. However, with the right network support experts, you do not have to worry about the impact of such challenges. The reason is that these individuals have access to real-time views of every equipment in your network. That means they can resolve any issues within the shortest time possible and mitigate the possibilities of experiencing unnecessary downtime too. Constant Software Updates Realizing seamless network operation is impossible without installing necessary updates when it is time. On the other hand, it is not possible to tell when you need to update your systems if you have no experience. Network support technicians receive security and product alerts from time to time, which serve as prompts for installing updates. As a result, this will reduce the outage length significantly and offer protection against current threats. If you need more information on the value of network support, contact us today!